The Woodman Museum announces its first Speaker Series event of 2019, “Diplomacy in Early New England: Treaty Conferences as a Window on Native and Non-Native Cultures,” to be held on February 20 at 7:00 PM. Tickets are $5 for non-members and free for members. The event kicks off the 2019 Speaker Series to be hosted at the Woodman Museum, featuring talks on period Seacoast furniture, slavery and capitalism in America, John Wilkes Booth, oceanography, New Hampshire’s participation in the Revolutionary War, and other historical and special topics. 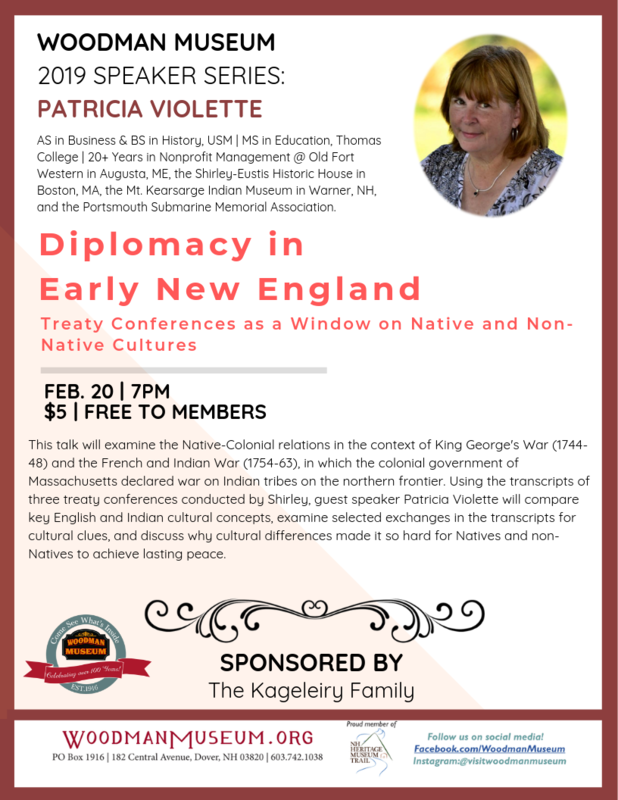 Guest speaker Patricia Violette will deliver a talk on relations between colonists and indigenous tribes in the mid-18th century, exploring the ramifications of treaties forged between native groups in New England and colonial governments. Violette will recount the actions of Royal Governor William Shirley, who served as Captain-General (Commander-in-Chief) of Massachusetts forces during two wars: King George’s War, 1744 to 1748, and the French and Indian War, 1754 to 1763. Though most of the fighting in both wars took place in Europe, each also resulted in Massachusetts declaring war on the Indian tribes on its Eastern frontier in Maine. European treaties ended the fighting on the continent, but Massachusetts also signed separate treaties with the Indians, either to end the hostilities or to gain Indian permission for an expansion of Massachusetts military presence in the Kennebec River valley. 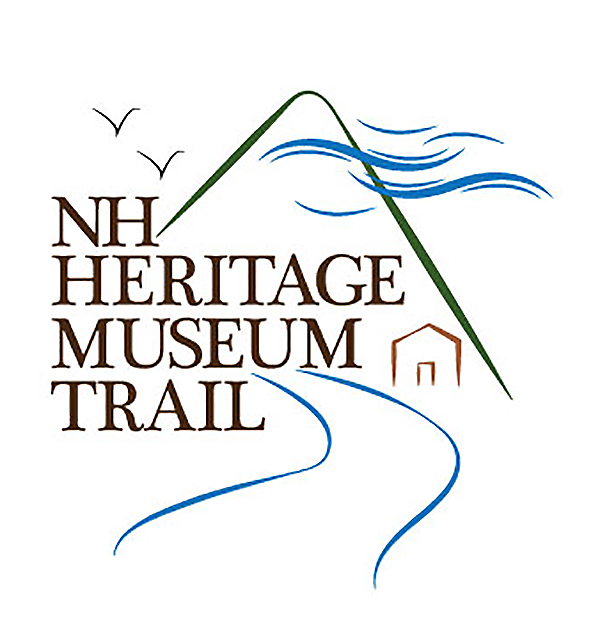 Using the transcripts of three treaty conferences conducted by Shirley, Patricia Violette, Executive Director of Albacore Park Museum and Visitor Center in Portsmouth, New Hampshire, will compare key English and Indian cultural concepts, examine selected exchanges in the transcripts for cultural clues, and discuss why cultural differences made it so hard for Natives and non-Natives to achieve lasting peace. Ms. Patricia Violette has more than twenty years of experience in nonprofit management and museum leadership, including Old Fort Western in Augusta, Maine; the Shirley-Eustis Historic House in Boston, Massachusetts, Mt. Kearsarge Indian Museum in Warner, New Hampshire and currently she is with the Portsmouth Submarine Memorial Association as their Executive Director. Ms. Violette received an AS in Business and a BS in History from the University of Southern Maine. She also has an MS in Education from Thomas College in Waterville, Maine.